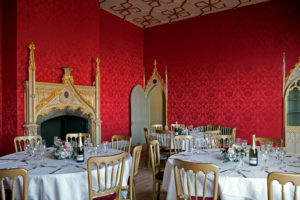 Strawberry Hill House is an utterly original venue for both corporate and private events. We have a room for every occasion, ranging from conferences and dinners to parties and receptions. Take a look at some of our options below. We can offer a variety of room packages to meet your conferencing requirements, either by making the whole House available for large conferences or by hiring out single rooms such as the Great Parlour, Library and Great North Bedchamber for smaller lectures, seminars or training days. All rooms are fully equipped to meet a/v and wireless internet requirements. We can offer a variety of catering options for your conference, as well as providing additions of private dining, drinks receptions or private tours. There is also the opportunity to hold team building days at the house – outdoor activities can be carried out on our expansive lawns. Many rooms are offered for a unique private dining experience. 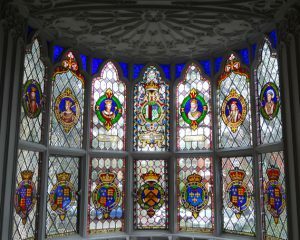 The Gallery, Library, Great Parlour, Round Drawing Room and Great North Bedchamber, along with our Café and lawns can all be hired for your special occasion – birthdays, anniversaries or corporate hospitality. We can also offer drinks receptions for social and corporate functions. Private tours can be incorporated into any event at the House. To find out more about our tour packages please visit our dedicated page.